News shows shift in focus from Amazon's consumer business towards cloud and voice-controlled computing. Amazon is apparently preparing to cut hundreds of jobs in its Seattle-based consumer business as it shifts its focus to its voice assistant Alexa and other fast-growing areas. A person familiar with the matter revealed that the job cuts would be in the low hundreds and that the online retailer had determined they were necessary since the mature areas of its business no longer require as many employees as they previously had. 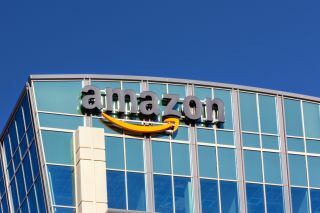 However, it is still unclear as to which specific teams within Amazon will experience job cuts as the company has expanded significantly into a wider range of businesses including food delivery and it recently opened the world's first automated grocery store. Despite the rumoured job cuts, the company created 130,000 jobs worldwide last year and is planning to open a second North American headquarters which it expects will create up to 50,000 jobs. During the fourth quarter of 2017, Amazon's full-time and part-time employee count increased by 66 per cent when compared to the same period a year earlier and the online retailer now has a staff of 566,000 including employees from the recently acquired Whole Foods Market. The majority of the company's jobs though are in high-profit areas like its cloud computing division AWS or in emerging businesses such as Alexa's voice-controlled computing. Amazon is working hard towards making Alexa an everyday part of consumers' lives by offering a wide range of its Echo devices and including the voice assistant in third-party apps and devices. The company has shifted its focus away from online shopping and towards the future of computing by expanding the presence of AWS and Alexa. Amazon's decision to change its business model will affect some of its current employees but in the long term it could also create new jobs as well.